Affordable. Professional. Quality. 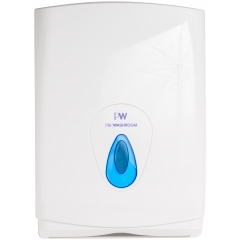 Pro Washroom offers a range of simple but effective washroom dispensers that are perfect for any commercial washroom. 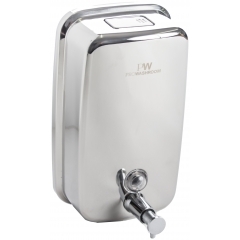 These top-quality dispensers are available in a range of colours, finishes, and stylish designs exclusively at HSD Online. 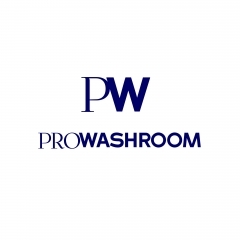 We’re proud to bring Pro Washroom’s complete range of commercial washroom fittings exclusively to HSD. 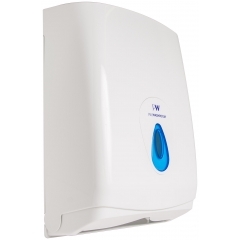 Browse the Pro Washroom range above to find a variety of affordable but high-quality soap dispensers, paper towel dispensers, toilet roll dispensers, and more to suit any budget. 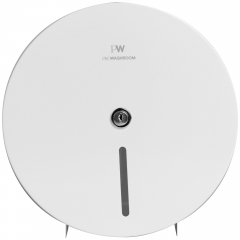 They're available in sleek, modern white or brushed chrome for a classy finish. People are naturally drawn to things that match even if we don’t realise it! We like repetition – think about musical rhythms or rhymes – so we’re subconsciously more comfortable in places with lots of things that match. That’s why it might be a good idea to pick up a matching set of dispensers for your washroom! 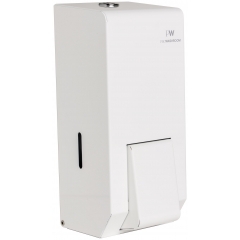 While they’re no substitute for good branding or outstanding customer service, your washroom dispensers can complement the rest of your business by keeping your staff and customers comfortable. 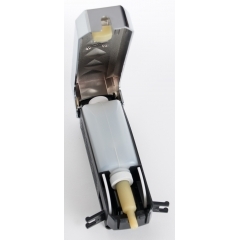 The problem is that many matching dispensers can be quite costly, and the ones that aren’t are usually cheaply-made. 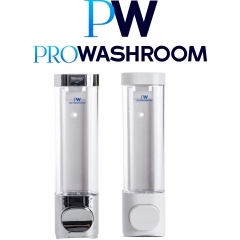 Pro Washroom dispensers offer you the perfect middle ground – they’re high-quality yet very affordable, so you can easily pick up a matching set without breaking the bank! 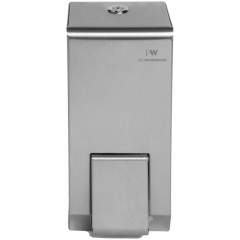 These popular dispensers are known for their reliability, so they won’t let your business down by breaking. 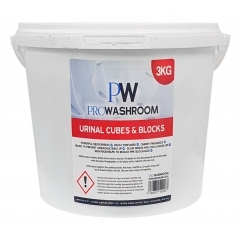 Browse the complete range for yourself above, or keep reading for a more in-depth look at Pro Washroom! Your washroom décor should be an extension of your brand. However, every brand is different! 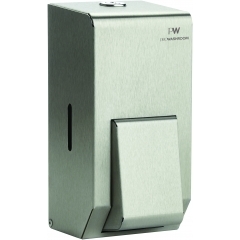 That’s why this range of washroom dispensers includes a range of different designs, styles, and colours. 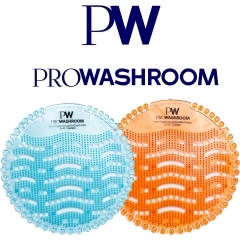 You’re sure to find something that fits your business in the Pro Washroom range. 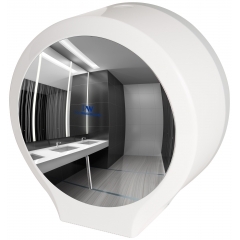 It includes plain white dispensers for a professional look, practical transparent dispensers, and even some more ornate chrome models to add a touch of class to your bathroom. 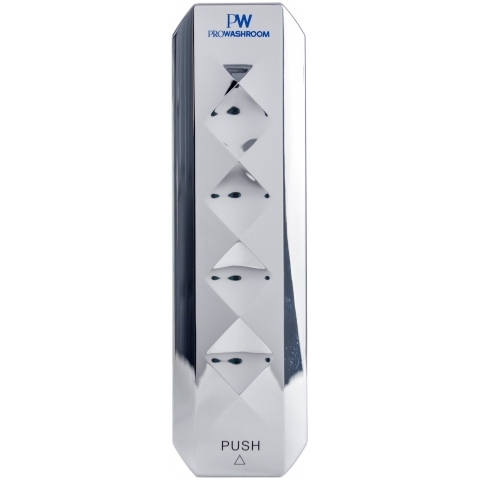 Nobody knows your brand better than you do, but if you’d like a little help picking the right style of dispenser, we’re happy to help. Call 0800 091 3171 or use the live chat button at the bottom of the screen to get in touch. 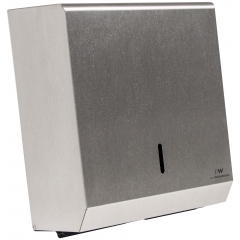 Pro Washroom’s range of slimline soap dispensers is essential for any washroom. 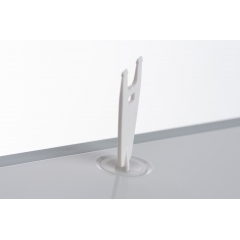 Keep your customers and staff hygienic with these hard-wearing yet stylish washroom fittings. Browse a range of finishes, from simple white plastic to art deco chrome, by clicking above. 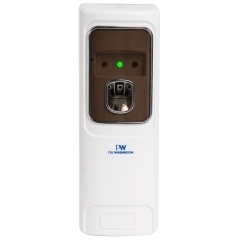 When choosing your soap dispenser, it’s important to remember that they’re arguably the most used and most visible part of your washroom. That means they should be well-maintained and able to cope with heavy use. If you want your bathroom to be easy on the eyes, they should look a little stylish, too! 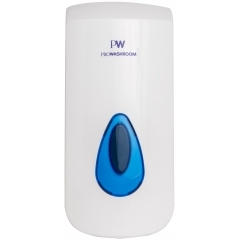 Pro Washroom’s range of soap dispenser has something that ticks every box, but they’re all well-made and easy to maintain. 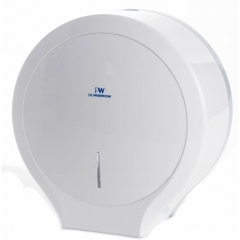 Pro Washroom toilet roll dispensers are discreet and minimalist, perfect for fitting in toilet cubicles where space is at a premium. 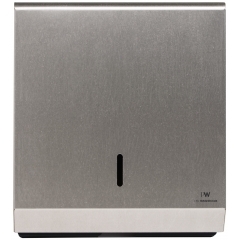 Choose between a hygienic plastic toilet roll dispenser, a hard-wearing stainless steel model, or a stylish chrome design. When you’re looking for a toilet roll dispenser, it’s important to remember that they’re going to attract a lot of bacteria. 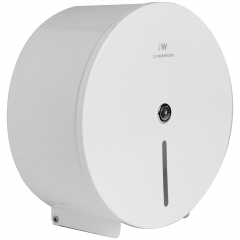 Regular maintenance is very important in every part of your washroom, but it’s especially important when it comes to your toilet roll dispenser! 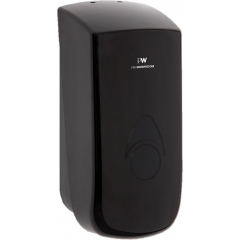 You want them to be as easy to clean as possible, which is why Pro Washroom’s dispensers are ideal. They’re all made with a smooth, easy-wipe finish to help your maintenance people clean them easily. 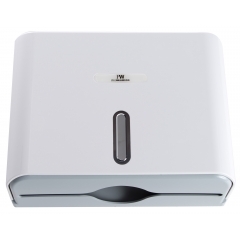 This versatile range of paper towel dispensers can hold a variety of different folds of paper towel, making them a convenient and easy-to-use choice for your business washroom. 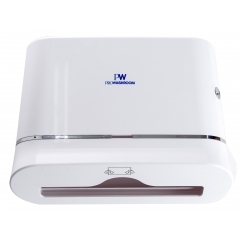 Pro Washroom’s paper towel dispensers are all multi-fold, meaning they can take any type of towel. 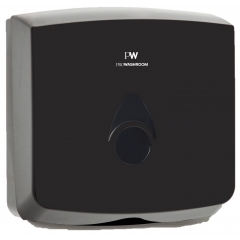 This means you don’t have to worry about getting a specific type of paper towel to fit your dispenser, you can just pick whichever gives you the best value! 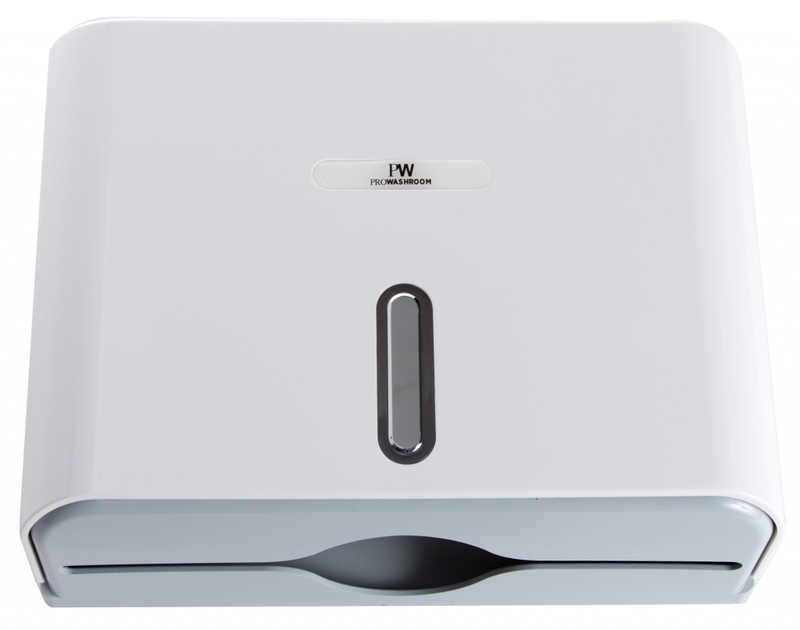 Made from durable ABS plastic, Pro Washroom’s paper towel dispensers are designed to be tough, with a strong backplate that prevents them from being pulled off the wall. If you’re a customer-facing business, this is an important feature! 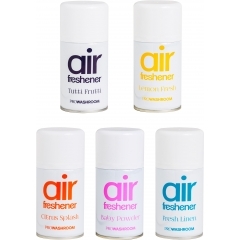 Fragrance is a huge part of keeping your staff and customers comfortable in your business washroom. 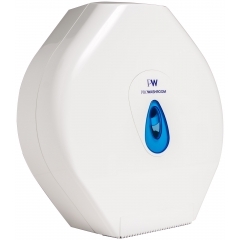 Pro Washroom’s air freshener dispenser offers unbeatable value and a range of different programming options so you’re always in control of when your air freshener is sprayed. 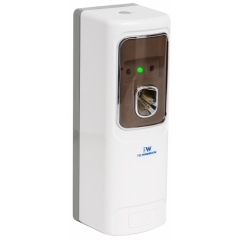 This is an important feature to note, as it’ll dramatically reduce the amount of waste at your business. 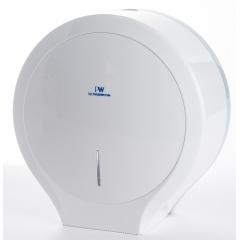 You can program this air freshener to spray only during office hours, and you can choose how often it does spray when it’s active. 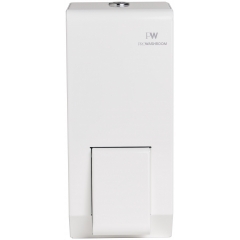 You can leave it free-standing or wall-mount it – which option is best depends on the size and layout of your washroom, but we’d normally recommend wall-mounting your air freshener dispenser. 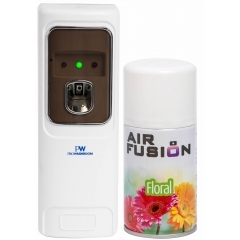 Many businesses will subtly mount their air freshener above the door to keep them out of sight. 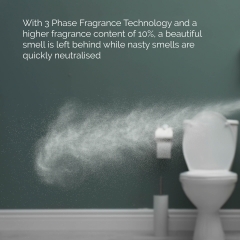 This also makes it more likely that anyone who enters the washroom will be greeted with a fresh fragrance rather than a stale, musty odour! 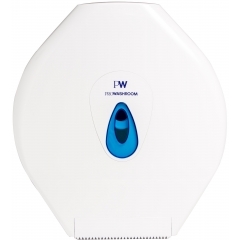 Even if you have a quality air freshener and a regular maintenance routine in your washroom, foul odours will still start to build up over time. More often than not, these stale smells come from urinals. 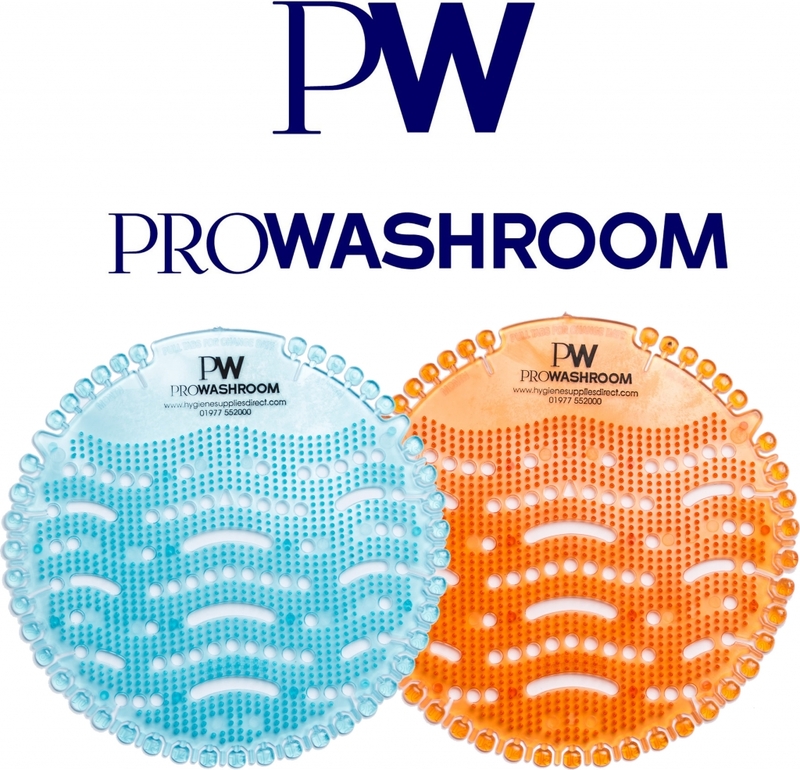 Luckily, Pro Washroom offers a range of urinal mats and channel blocks to keep your washroom feeling fresh! 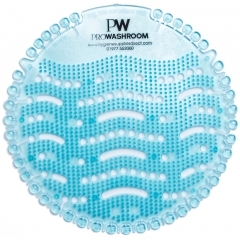 They’re long-lasting and cost-effective – just drop them into the urinal above the drain and they’ll trap any foul odours that might build up there. This might not sound like a big deal, but it’s a detail that people will notice by its absence! 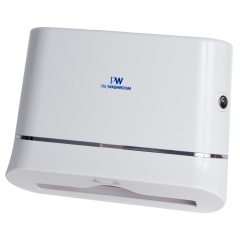 Essential for gyms, spas, hotels, and any washroom with a shower, Pro Washroom’s hairdryer is sleek and economical. 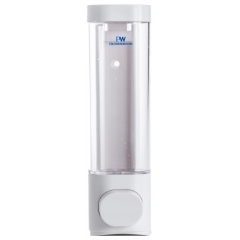 It’s incredibly affordable, offering unbeatable value with 5 speed settings, automatic shutdown switch, and a high-quality ABS plastic housing. 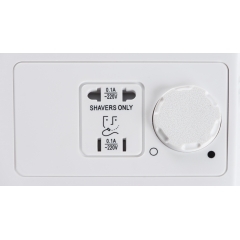 This makes it an essential purchase for any business that offers a shower to its customers or staff! 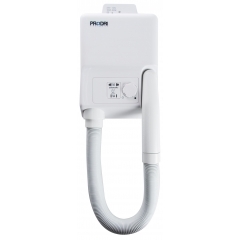 A hairdryer at work is a cost-effective way to add an extra layer of comfort to your washroom. They show your customers and staff that you’re willing to go the extra mile to ensure they’re kept comfortable. However, Pro Washroom’s offering does a lot for business owners, too. It’s automatic and is fitted with an automatic shutdown timer. This means you don’t have to worry about running up a massive energy bill if a user forgets to turn it off after using it. 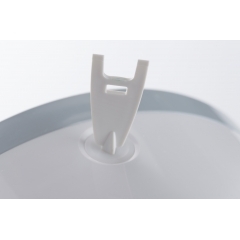 It’s also made of robust ABS plastic so it can cope with everyday use, meaning it’s suitable for use in high-traffic areas such as gym changing rooms. 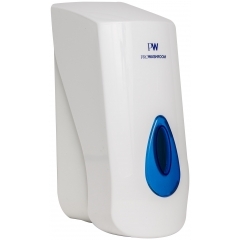 We offer a range of bundle deals so you can get a complete matching set of washroom dispensers for less. 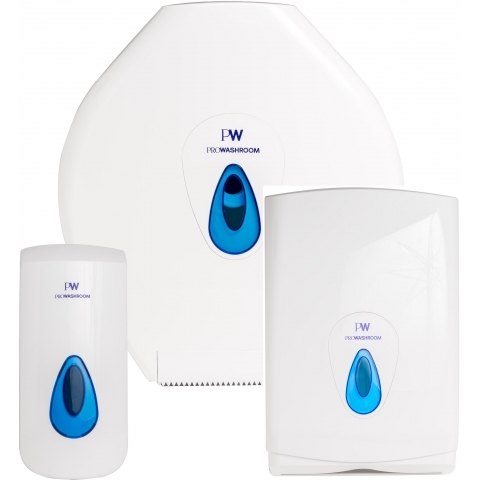 If you’re looking for a bulk order, just get in touch for a quote – we’re exclusive stockists of Pro Washroom dispensers, so we can offer you the best-value dispensers at the best prices.